I was forgetting to share with you this Christmas card I made, I have only one Lawn Fawn Christmas stamp set and I’m always thinking how I can use it so I can take advantage of it. 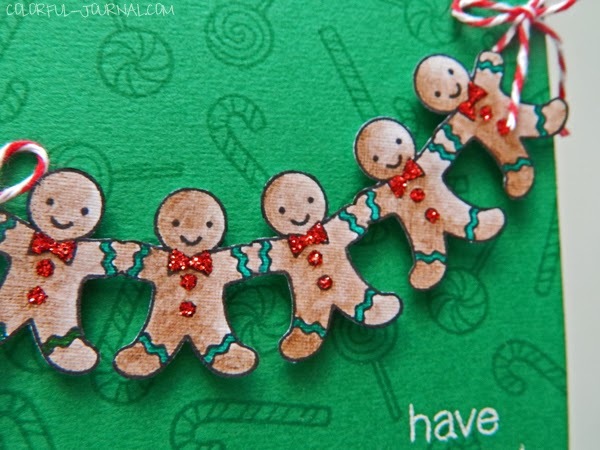 I saw the gingerbread man and thought it would be lovely to make a banner so I first stamped the gingerbread man on the left masking his right hand then masking both hands I stamped the rest for the end I stamped the gingerbread man on the right masking his left hand. I colored it using watercolors then put some red glitter on the bow tie and buttons and adhered it to the base card with foam squares and red twine for the bows. Using the little stamps and versamark ink I made the background, for the final accents I used double sided tape, red glitter, washi tape and white embossing powder. Tomorrow I have a special blog for you, don’t forget to come back. Wonderfully clever! 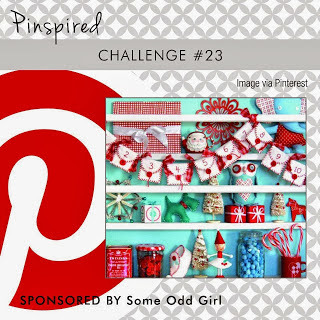 Thanks for joining us at Pinspired Challenges. I just love your blog. I thought I should let you know. I mean, your personality; it shines through. And I love that. Aww Thanks Vithya for your lovely comment, you make me smile. Adorable card, Andrea! 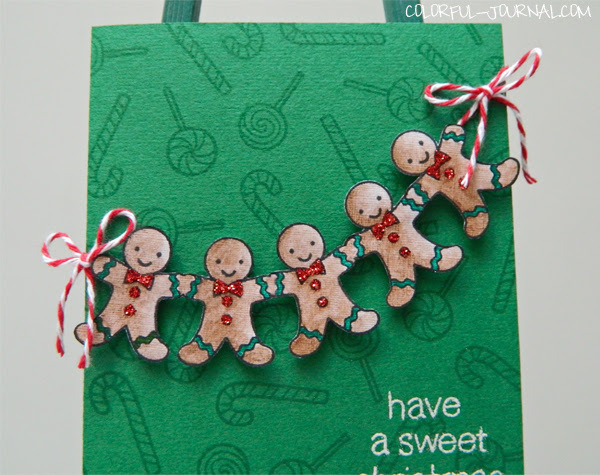 Your gingerbread man banner is so wonderfully creative and such a fresh way to use Sweet Christmas; love it! 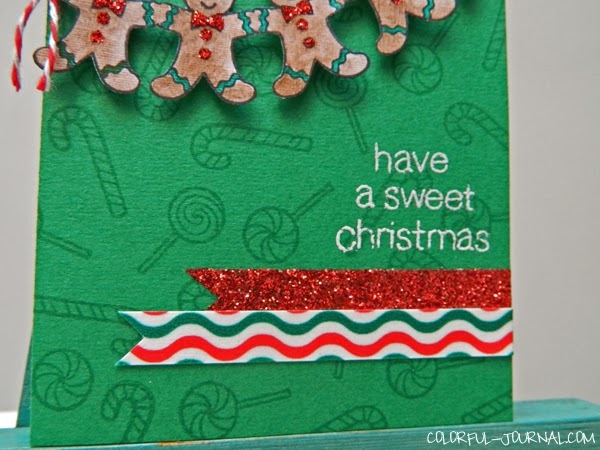 Very darling card, and congrats on being the Lawn Fawn Pin of the Day!